Syntastic is a syntax checking plugin that runs files through external syntax checkers and displays any resulting errors to the user. This can be done on demand, or automatically as files are saved. 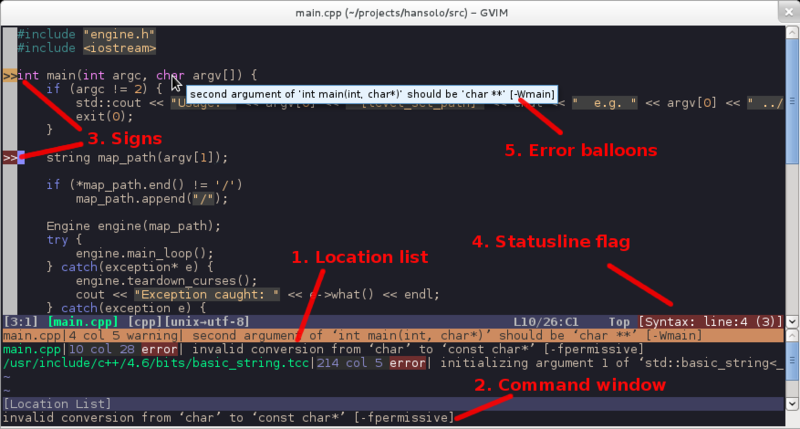 If syntax errors are detected, the user is notified and is happy because they didn't have to compile their code or execute their script to find them.